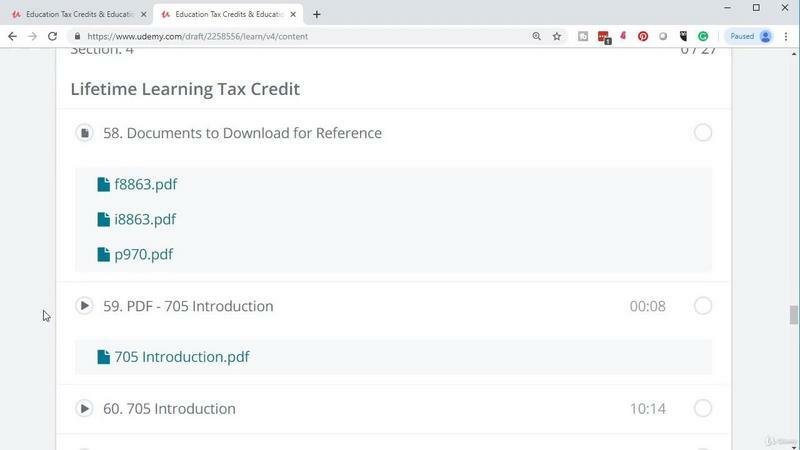 Education Tax Credits & Education Tax Benefits 2018 2019 | Free eBooks Download - EBOOKEE! Posted on 2019-03-17, by fubber. This education tax credits & education tax benefits course will discuss tax benefits related to education, focusing on education tax credits including the American Opportunity Tax Credit and the Lifetime Learning tax credit. The course will describe the benefits of the American Opportunity Tax Credit, giving practical examples using actual tax forms. 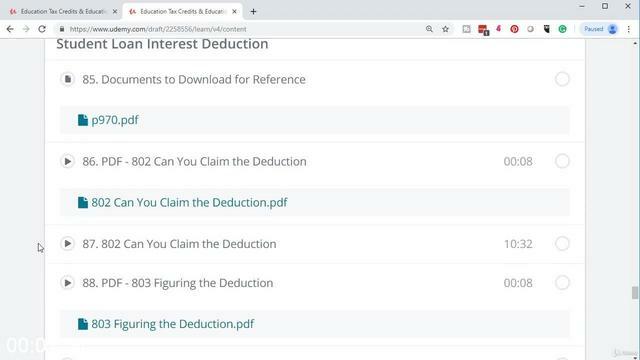 As we learn the concepts of the American Opportunity tax credit, we will run examples and scenarios using tax software and tax forms to get a feel of how the credit reacts to different tax circumstances. We will describe the benefits of the Lifetime Learning Tax Credit, giving practical examples using actual tax forms. 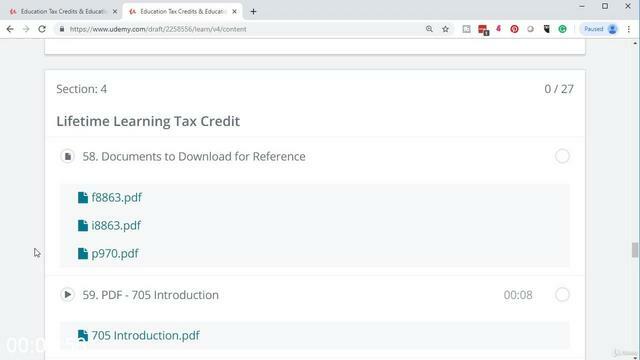 As we learn the concepts of the Lifetime Learning tax credit, we will run examples and scenarios using tax software and tax forms to get a feel of how the credit reacts to different tax circumstances. 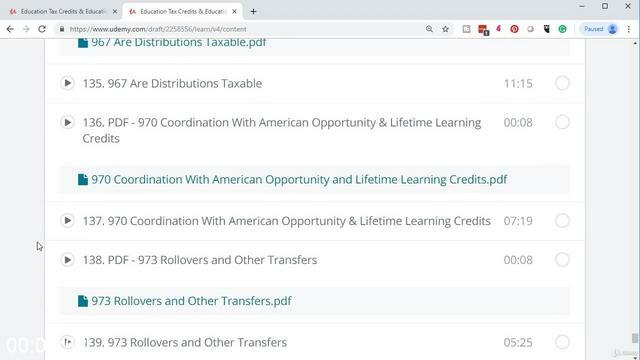 The course will discuss how the American Opportunity tax credit and Lifetime Learning tax credit interact with each other and how to maximize tax benefits. We will discuss the deduction for student loan interest, describing circumstances where student loan interest is deductible, and giving practical examples using tax forms. The course will discuss the tax benefits of a Coverdell Education Savings Accounts (ESA). We will consider how a Coverdell Education Savings Accounting (ESA) is set up, the tax benefits, and tax consequences of distributions. 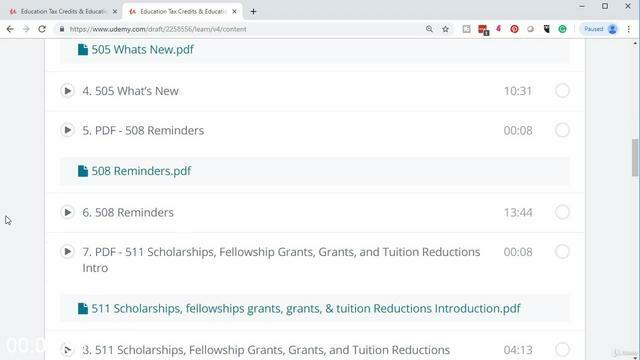 The course will also discuss how the Coverdell Education Saving Account (ESA) works or coordinates with education credits like the American Opportunity tax credit and Lifetime Learning tax credit. We will discuss the tax benefits of a Qualified Tuition Program (QTP). We will discuss how a Qualified Tuition Program (QTP) is set up, the tax benefits, and tax consequences of distributions. The course will also explain how the Qualified Tuition Program (QTP) works or coordinates with education credits like the American Opportunity credit and Lifetime Learning credit. No comments for "Education Tax Credits & Education Tax Benefits 2018 2019".